It can be difficult to find the right gift or accessory for your friends. Coolies are a fun way to share your message with the public especially since they can be personalized. There are many uses for coolies from personal use to business applications. 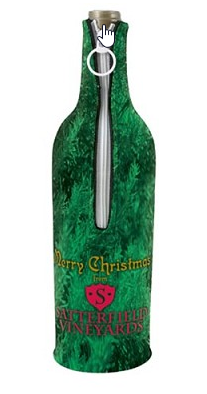 For the times that you're looking for a unique and special gift to share with a friend, you can buy insulated koozies along with wine to go with it. When you're invited to a friend's house for a house warming or dinner party, don't show up with a bottle of wine that could be warm. Keep it cool by slipping it into a wine koozie. Your dinner hosts will be pleasantly surprised by your thoughtfulness. When you're in the parking lot before the game, you might not have a table to rest your drink. Buy magnetic koozies. While you're standing around talking about the game you're about to see, you can stick the coolies anywhere that's metal like the side of your truck. It's a convenient way to be hands free when you're grilling or just arguing about the players. It can be tough to stand out from a crowd. This is especially true when you're headed to a trade show where you need to be memorable. Your competitors will also be at the trade show, which is why companies give away memorable gifts. They'll give out pens and mugs with their company name and logo. To stand out, you can buy koozies with your company brand on it. This will give potential customers a great gift that is practical. Whether it's your bridal party or groomsman, koozies that are personalized with the name of the couple is a great way to remember the date. They come in a variety of colors that will match the wedding decor. They can be personalized in a fun, unique way to be given as gifts at the bachelor party. They could be given out as wedding favors too. There are so many uses for coolies that go beyond the three listed here. You can buy them for events like family reunions, graduations or employee appreciation days. You're only limited by your imagination. There's a coolie that will fit every budget. 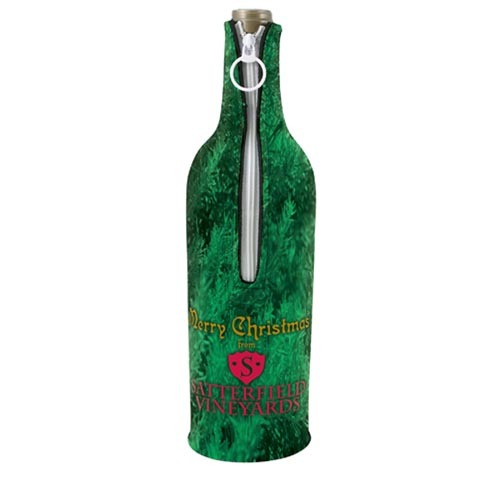 Pricing includes full color printing on your wine bottle coolies. You can print a color photo, a colorful logo or even a creative design. Artwork can be emailed to our design team after your order is placed. Often customers looking at this item are also interested in our bottle koozies and our custom magnetic koozies. ON MOST ITEMS With no purchase required! Pick your production time! 2pm CST Cutoff for rush orders! Enter a brief description of your text, artwork or clipart. After you place your order our professional design team will review your note & send you a proof for approval. Please enter your text for your bottle. * Must be between 0 and 255 characters. © 2016 Personalized Drinkware Ware. All Rights Reserved.